Alarm Clock Pro isn't just an ordinary alarm clock. Use it to wake you up in the morning, send & compose e-mails, remind you of appointments, randomize the iTunes selection, control an internet radio station, and even time your baking. 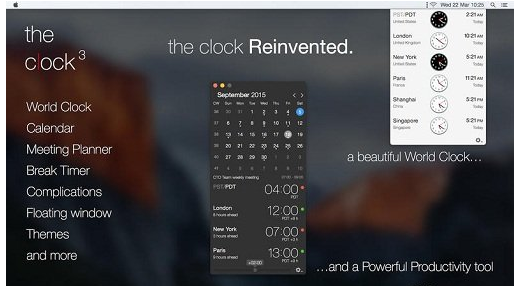 Completely redesigned for El Capitan and Yosemite, The Clock 3 goes even further than before.